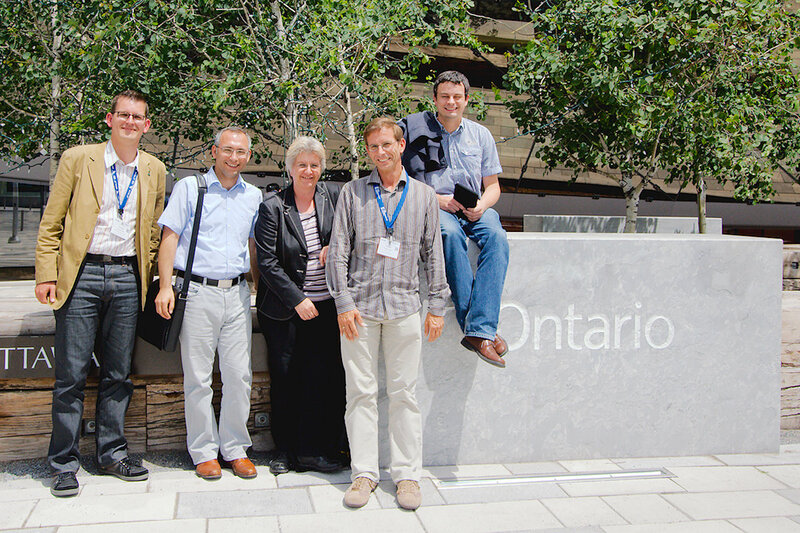 NovaEnEv 2012 took place in Ottawa on June 15, 2012. This is to thank all contributors for making this workshop possible! Please consider submitting your work to our follow-up workshop at ICC 2013. The (Co-)Chairs Joachim Wilke, Mesut Günes, Martina Zitterbart, Torsten Braun, Christian Haas (left to right). NovaEnEv 2012, the First International Workshop on Novel approaches to Energy Measurement and Evaluation in Wireless Networks, will be held in Ottawa, Canada, June 10-15, 2012. NovaEnEv aims to provide a forum for energy efficiency aspects in wireless networks. The Workshop will take place in conjunction with IEEE ICC in Ottawa, Canada. NovaEnEv 2012 will be organized by the Karlsruhe Institute of Technology (Prof. Dr. Martina Zitterbart), University of Bern (Prof. Dr. Torsten Braun), and the Freie Universität Berlin (Prof. Dr. Mesut Günes). If you have any questions, please contact Christian Haas or Joachim Wilke. 20. Dec 2011: Deadline has been extended up to January 07th, 2012 (Final deadline). 03. Mar 2012: List of accepted papers and program is online. Copyright (c) 2011-2012 Institute of Telematics. All rights reserved. Design by Free CSS Templates. Some images (c) U. Schroeder / pixelio.de.